Blow Guns are an ideal tool to use to clear surfaces from dust, chips and particulate from any surface. Blow guns are powerful tools to use for medium to heavy duty usage making it a great asset to your air tool kit, workshop or body shop. The blow guns have an ergonmic grip and simple trigger which offers the user a strong and comfortable grip and ease of use to operate and set up. The blow guns have 100mm long and thin barrels which enables the user to have a strong and directional air flow. Designed to be used in workshops, body shops and garages, our range of air blow guns are powerful and durable and are a perfect accompaniment for our air compressors and other air tools. Suitable for use in a range of applications, these tools make light work of dust removal. Easy to set up and use, and with a two-year warranty, you can find your new air compressor blow gun below at SGS Engineering. Suitable for medium and heavy-duty use, our range of own brand air blow guns are up to the task. They provide expert engineering and superior quality, for the value you would expect from SGS Engineering. Our SGS air blow guns are lightweight and versatile, making them ideal for a variety of workspaces. 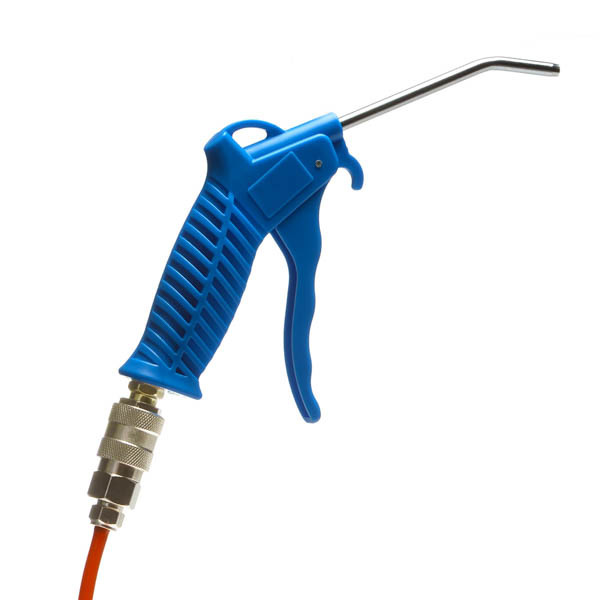 Weighing in at 0.2 and 0.45kg respectively, our air hose blow gun options are small but powerful, with a comfortable, ergonomic grip and trigger mechanism. Able to be used for a variety of purposes, our blow guns are a multifunctional tool. Whether you need to remove dirt, clear dust or eradicate chips, they can fulfil a variety of functions. Choose between our low-priced options, including the 100mm Air Blow Gun, opt for a complete set or purchase the 100mm Heavy Duty Air Blow Gun Kit with Recoil Hose & Coupler. If you work in an area that is prone to dust, this is an essential piece of kit. Buy today to add to your professional toolbox with our low value and great performance air blow guns.